So at last we finally launch another Podcast from the world famous AC Crew - thats Access Collective, not air conditioning ! On 1st October of this year, a powerful piece of legislation came into force: the Equality Act 2010. In a drive to advance equality of opportunity for all, schools, colleges and universities now face some important new obligations. One of these obligations concerns how information is made available to learners: the Act says that it must be accessible. So, for example, if a learner has a sight impairment, or dyslexia, the school, college or university MUST face up to its duty to make reasonable adjustments, and to provide that information in a format that the learner will find accessible. Create&Convert is a free tool that has been designed specifically to help institutions or organisations comply with the Act in the way that they publish information. It is easy to understand the legal consequences for institutions that do not comply with the Act, but for the learner it’s the social consequences that really matter. The aim of Create&Convert is to help organisations to help their learners to truly realise their potential. So what does Create&Convert do? Well, it brings together in one neat package a range of open source programs that can quickly and capably translate electronic documents into an accessible alternative format, such as audio or a talking book. All of the tools are the outputs of the Digital Accessible Information System (DAISY) Consortium, and are therefore completely free to use and distribute. Create&Convert will work with any new or existing document that is in editable form, such as the common Microsoft Word. In a nutshell, Create&Convert is a legislation-compliant, budget-friendly tool that can transform exclusion into participation for the learner. Create&Convert is devised by the JISC Regional Support Centre Scotland North & East, and consists of open source tools specially selected for education. There is no charge for using Create&Convert. Just use it, give it, share it – all for free. How do I get Create&Convert? There are two versions of Create&Convert - Microsoft Word 2003/2007 version and OpenWriter. Although both versions work portably from a USB pendrive it is recommended that the OpenWriter version is run from the USB only. The Word 2003/2007 version can also be run from the desktop. BrainAble will produce a commercial product and a set of technologies intended to assist people with physical disabilities regardless of cause. The technology has the potential to assist those with other individual needs ranging from speech disorders to Motor Neurone Disease or locked-in patients. BrainAble brings innovation in human machine interfaces for the disabled, who cannot manipulate a standards interface such as a keyboard and mouse. 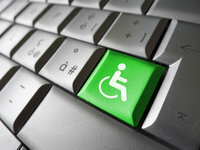 It represents two innovative and capital purposes to overcome barriers as a result of disability: First, the management of accessible networks of interoperable devices which will improve dramatically the quality of life experienced by people with a disability within their living environment; and access to computer-based social networks for social inclusion. There is significant opportunity for the exploitation of the outcomes of BrainAble by European companies which target biomedical and assistive equipment markets and accessible Smart Home automation markets that can leverage their position to become prominent and relevant in the global market. 1. To conduct a truly user-centric design of a platform which improves the quality of life of people with motor disabilities and investigate its effectiveness to compensate deficit after the rehabilitation process, increase autonomy in daily life activities, decrease barriers and increase participation favouring social inclusion and quality of life. 2. To create a specifically designed HCI, which integrates BNCI with other specific sensor technologies. 3. To create a user-centric virtual environment for home and urban automation control, social networking and training. 4. To create Ambient Intelligent (AmI) and ubiquitous computing services for accessible device integration. 5. To create self-expression tools and social networking services. The third feature looks further at accessible gaming by looking more at the work of special effect, ablegamer and the gamebase.info. The segment was recorded at the eurogamer expo 2010 and features a variety of features around the work of all of the organisations. Its great to hear of so much progress being made in mainstreaming accessible gaming. Have you ever thought about how you will manage if the developers of your much relied on accessibility software tool decide that they will no longer develop or support it? Does that seem really unlikely? To be sure many developers have their users interests firmly in mind. But businesses realities can bite hard and a company may have to refocus or make tough decisions. A software project can find funding dries up after initial success. A developer of freeware software may find new priorities for spending their time. What then? What will you do? For a while there may be no real problem. You have the software, and can carry on using it or continue providing it to those you support. But what if a critical bug is found on one user's configuration? What if you need to get the answer to a question. What if you can't get a licence code to install it on a new machine? What if you upgrade your operating system and the program fails to work? These are all problems that can and do occur. If you are lucky there will be a clear migration path to an alternative tool, including a way to transfer any data you have created. What you really need is to know that the tool you use is sustainable and so can live on and still be usable in the future, even if the developers decide to pull out. OSS Watch, the UK academic open source advisory service, describe open development of open source software as a proven means of reaching such sustainability. This is something that successful open source project have been doing for years and accessibility users are in a position to benefit from the added security provided by projects that operate in this way. In fact OSS Watch have just published an article about using a maturity model to evaluate how sustainable an open source project is and it's definitely worth a read. But what is open development? In a nutshell performing open development means software and related materials are developed by a community in ways that allow anyone to not only use and modify them, but also to readily understand the history and decision making that has gone on. Thus if any member of the community pulls out, others can continue keeping the project moving forward. A very recent example of how practicing open development can allow an accessibility project to survive the withdrawal of funding, is the JISC TechDis Toolbar. The toolbar gives access to various web accessibility tools and runs in most browsers. TechDis paid Southampton University to develop the initial version for their website, and agreed that it would be an open source project run by Southampton who wanted sustainability and to encourage collaboration and innovation. OSS Watch guided Southampton in best practice and so even when TechDis recently decide they no longer wanted to support further development, the project can continue, following the trajectory set by Southampton and other contributors who want to share the value it provides. Interestingly openness also allows users to themselves become more directly engaged, and allows other parties to build new tools and otherwise base business ventures on the software. At this stage you may be wondering how you can make money if you openly share the code? We'll in fact it can be done, and is, in many different ways. In fact businesses and corporations are currently getting very excited about Open Innovation, which is a way to gain business advantage through sharing and collaboration. Open development is open innovation in software and I'm pleased to be involved in a fledgling project that will explore open innovation for accessibility. I'll will be sure to talk about in detail once it is ready for launch. In the meantime you might like to think about the sustainability of the tools you use or develop. Craig talks us through MyStudyBar, a tool which helps overcome problems that students commonly experience with studying, reading and writing. The tool consists of a set of portable open source and freeware applications, assembled into one convenient package. Easy to install, simple to use, handy and effective, MyStudyBar provides comprehensive learning support at the desktop, where it is needed. And if this is not already attractive enough, a further eye-catching feature of MyStudyBar is that it is completely FREE to download and free to use. Tux the penguin is hungry, and loves to eat fish. But Tux can only catch the fish if you type the right letters in time! Can you help Tux? AKA TuxMath, lets kids hone their arithmetic skills while they defend penguins from incoming comets, or offers them a chance to explore the asteroid belt with only their factoring abilities to bring them through safely! Neil also has three things to talk about this month. He starts by telling us all about the livescribe pen, a new way of taking notes reducing the time you spend thinking things down, the new version of the pen is called the echo with some new features coming soon. David Banes rounds up some of the summer news and updates us on the Access Collective website. xWave is a brainwave interface that works on the iPod Touch, iPhone, or iPad. It’s actually a relatively small device that fits right onto your cranium, much like a pair of over-the-ear headphones, which will subsequently read your brainwaves. The Accessible Resources Project in the UK has made available over 100 of the most commonly used school textbooks in an accessible electronic format for students aged 11 -14 who struggle to read the written word in print because of visual impairment or dyslexia. Schools and local authorities should check the list of books that can be ordered through RNIB before producing textbooks themselves for the 2010/11 school year. ApriPoco Controls Your Home with Voice Commands. We’ve added a new section called presentations, these are embedded from Slideshare and we are orgainsing and collating them into themes, so far we’ve just done AAC but expect to see more soon. We’ve also added a new section called "ask an access question". The idea is that visitors can ask a question of our collective brains related to access issues we will post the reply to the visitor and onto the site itself. Welcome to the latest access collective podcast, full of the tastiest bits of Assistive Technology And Accessibility, non fattening and good for your heart. Trust us on this. Its been a busy month and we have four contributors chomping at the bit and anything else anyone is stupid enough to put near their mouths. On with the stuff ! First up this edition is Steve Lee who explores the business model that allows for the development of Open source software, going beyond the traditional model of charging to download and use the software. Steve makes the clear point that open source is not the same as “free to users” but instead is about a collaborative model of development. Our second contributor is developer Chris Stringfellow who creates free access utilities. In his first, maiden contribution he talks about his programme “Sonar” and how this worked to help keep a visually impaired woman in work. Our third contributor this month is Neil Millikin who talks about a new product he has come across, “Look Tell” this works on Windows Smart Phone and recognises not only text but also objects and landmarks. Its a useful guide to assist you around your home or local community. It includes an element of service from real people as well as technology. Look Tell is available in the US as a beta presently and well keep you informed of release elsewhere. Fourth and final is Barrie Ellis. Barrie offers a précised version of the special edition podcast we released recently on audiogames. Special thanks to Dark from audiogames.net who introduces us to the world of complex highly interactive audiogames. This is a special edition podcast with an in depth look at AudioGames from Barrie Ellis. There is a a little bonus bit of music on the end, which is the earliest ever recording of a computer singing (1961). This is the first podcast by the access collective. As we explain in the edition we are a group of middle aged men who should know better. But in a final attempt to recapture our lost youth, we've come together to share our thoughts, ideas and observations from the world of Access technology. Our focus is on how people with a disability use technology to reduce barriers in daily life. We will also explore issues around Universal Design and web accessibility offering a broad view linking together all aspects of accessibility for all. In the spirit of the collective we welcome new members - drop us a line if youd like to join this roving band. Although that sounds like we are folk singers - that can never be good. The Access Collective is a new concept for a monthly podcast. Weve put together a team of "experts" or at least people with an opinion on a range of access and accessibility issues and each month we will bring you a range of features from the world of access technologies. The idea is that if you have a specifci interest in one area of access you will be introduced to the breadth of issues through the podcast.